China has confirmed it has detained two Canadian men, saying they were being detained on suspicion of "endangering national security." Foreign Ministry spokesman Lu Kang said Thursday that entrepreneur Michael Spavor and former Canadian diplomat Michael Kovrig were taken into custody on Monday. Lu says Canada has been informed of the detentions, but declined to say whether the men have been provided with lawyers. He says they are being handled separately. The two cases ratchet up pressure on Canada, which is holding an executive of Chinese telecommunications giant Huawei wanted by the United States. China has demanded the immediate release of Meng Wanzhou, Huawei's CFO and the daughter of its founder. Asked if detentions were related to Meng's arrest, Lu said they were being handled according to Chinese law. The apparent detentions of two Canadian men in China this week have raised the stakes in a three-way international dispute with the United States. The Canadian government said late Wednesday that entrepreneur Michael Spavor went missing after reporting that he was being questioned by Chinese authorities. His disappearance follows the detention of former Canadian diplomat Michael Kovrig in Beijing on Monday. 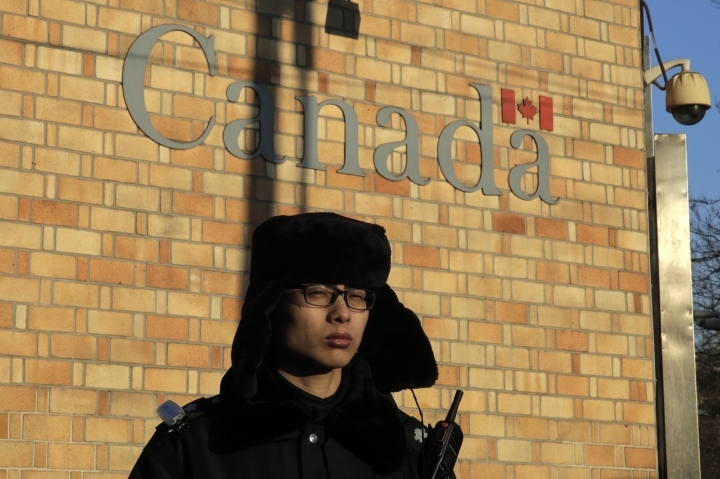 The two cases ratchet up pressure on Canada, which is holding a Chinese telecommunications executive wanted by the United States. The U.S. is seeking the extradition of Huawei Technologies' Chief Financial Officer Meng Wanzhou, who was arrested in Vancouver on Dec. 1. China has reacted angrily to her detention and demanded her release. It has not confirmed that Spavor or Kovrig has been detained. Get the latest news and have a look at the innovations and technologies that are shaping the future and changing the world here in Futurally. Copyright © 2015 - 2019 Futurally. All Rights Reserved.